Save a service fee and repair a faulty oven yourself with these tips and tricks. Q: Something is wrong with my oven. The last time I used it, the food didn’t cook properly—the center of my casserole was still cold when I took it out. I’d rather not pay to have it serviced, so I’m hoping for a DIY fix. Can you help? A: A malfunctioning oven is truly a mealtime nightmare! And who can blame you for not wanting to shell out between $150 and $350 for an appliance repair technician to fix it? 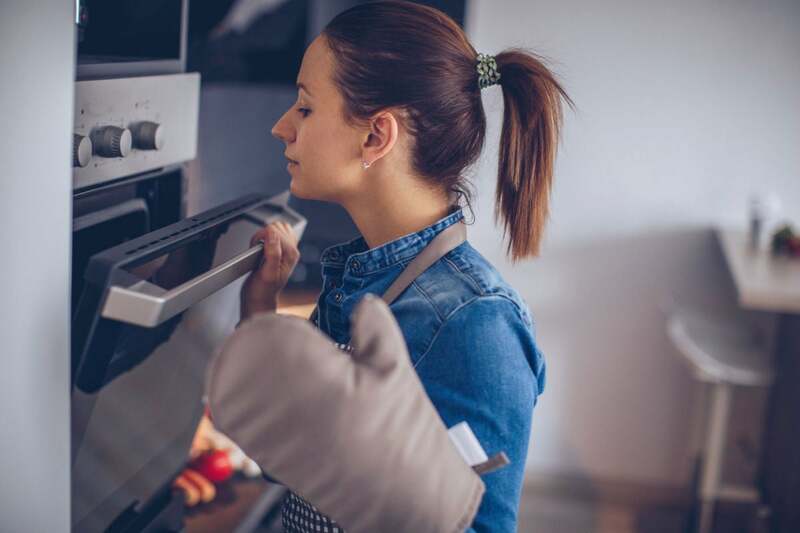 While you may ultimately need to bring in a pro, we can help you troubleshoot some common reasons an electric or gas oven may not be heating properly. Just don’t undertake any repairs that require replacing elements if your oven is still under warranty, as doing so is bound to void the warranty. Now, locate your owner’s manual (you should be able to find it online if you can’t put your hands on the hard copy)—and let’s get started. If an electric oven is completely dead, check the breaker. Ovens pull a lot of electricity for cooking and baking, and something as simple as a power surge could cause the breaker to trip. Locate your home’s service panel and look for a breaker labeled “Oven.” If the breaker has tripped, the switch will be midway between the “On” and “Off” positions. To reset the breaker, push the switch to “Off” and then back to “On.” This should fix the problem, but if the breaker trips again, call an electrician—you may need to have another electrical circuit or breaker installed. Check the position of the oven and stove knobs. If an oven-range combo has manual knobs instead of a touchscreen, and if you recently removed the knobs while cleaning, there’s a good chance they were put back incorrectly. Check to make sure each knob is in its proper place—consult your owner’s manual if you’re unsure. Sometimes the fix is a simple as switching knobs to their designated spots. If your oven has a self-cleaning feature, ensure the door lever is in the “Unlocked” position. Self-cleaning ovens often feature a lever that locks the door during the cleaning process. 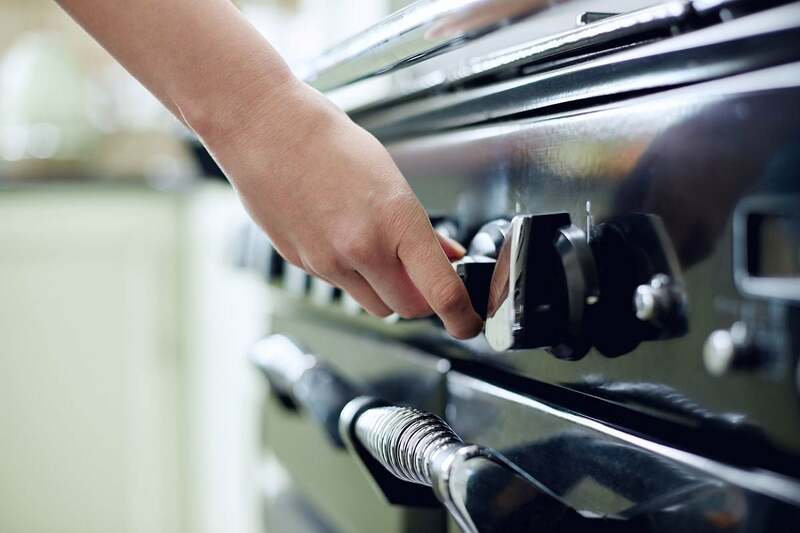 If the lever is in the “Locked” position, it could be keeping the oven door from closing completely, which would allow hot air to escape and slow down the cooking process. 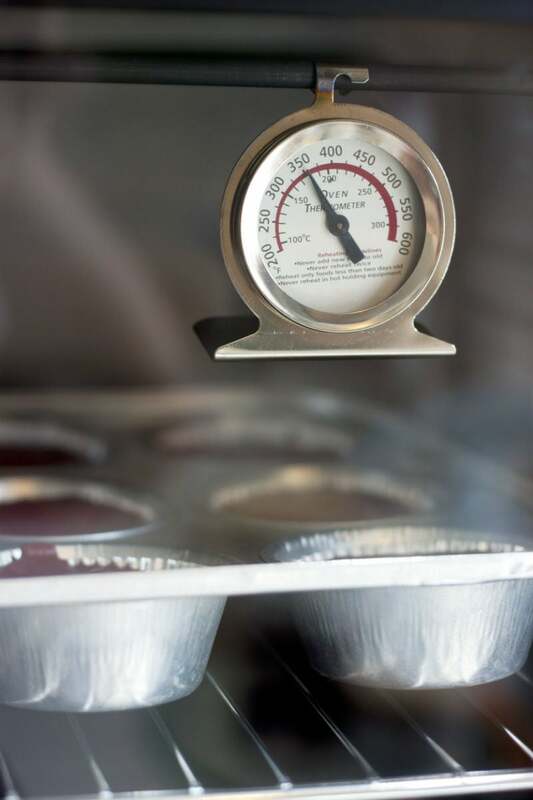 Use an oven thermometer to determine the temperature difference. Even new ovens can be slightly off the set temperature. To find out if this is the case with yours, put an oven thermometer, such as the KT THERMO (available from Amazon), in middle of the center rack. Turn the temperature to 300 degrees Fahrenheit and check the thermometer in 10 to 15 minutes, when the oven is fully heated. Perform the same test at 350, 400, and 450 degrees Fahrenheit. If the thermometer consistently reads lower, by, say, 25 degrees, on each test, it might be your oven just cooks at a lower than indicated temperature. If this is the case, try compensating by setting the oven 25 degrees higher than your recipe calls for to cook at the correct temperature. Consider replacing an electric oven’s heating element. As long as your oven is past its warranty, you shouldn’t let this repair intimidate you—you needn’t be an electrician to replace a heating element. First, test the heating element: the curved rod along the bottom of the oven. Turn the oven on to 400 degrees Fahrenheit and, as it heats up, observe the element. If the rod doesn’t start to glow red, it should be replaced. You can order a replacement from the manufacturer for between $20 to $50, depending on make and model. The heating element plugs into the back of the oven and is usually held in place with a couple of screws. Consult your owner’s manual for instructions on how to remove and replace the faulty element. Turn off the power to the oven (switch the breaker to “Off”) before performing this fix. Clean the igniter on a gas stove. If the stove’s burners come on but the oven is not heating, the problem could be a dirty or faulty igniter. Consult your manual to determine the location of the igniter, which often resembles a one- to two-inch metal module covered with an open-grid metal cage. The igniter may be visible in the oven, or you may have to remove the bottom oven panel to access it. Call a technician at this point if you don’t feel comfortable with the next steps: If you opt to clean it, turn off the gas to the oven before you begin. Use a toothbrush to remove gunk and debris from the igniter, then unclog the pilot light hole with a sewing needle. If this doesn’t fix the problem, the igniter should be replaced—and that’s definitely a job for a qualified technician. Both gas and electric ovens feature a temperature sensor—a thin tube a few inches long, located at the upper back of the oven. If the sensor was inadvertently bumped during cooking or cleaning and is now touching the wall of the oven, it will result in erratic cooking temps. If this has happened, gently bend the sensor away from the wall. If this doesn’t solve the problem, the sensor itself could be faulty. Replacing a sensor is not a difficult task. You’ll pay $15 to $25 for a new sensor, which you can order from the manufacturer’s website, and your owner’s manual will have instructions for removing the faulty part and installing a new one. Consult the owner’s manual if a digital oven is displaying error codes. Error codes are a combination of letters and numbers, and each code relates to a specific issue. If the oven is not heating correctly and an error code appears in the LED display, the code is a clue to what’s going on. The code could signal anything from a faulty button to a defective control board. Your manual will explain what the code means, and the steps needed to correct the problem. If the troubleshooting and repairs suggested above fail, your oven may have blown an interior fuse, may need to be professionally recalibrated to heat correctly or could have a faulty relay switch or a damaged control board. In these instances, a professional technician will have to service the appliance. Contact the manufacturer or the store that sold you the oven to hire the right repairperson.